This is the martial-arts equivalent of “Rocky 4.” Even down to an ending speech from the protagonist about how he hopes his actions can help people change. “Ip Man” was one of those rare martial-arts films that understood the simplicity of the genre, yet still managed to make these actions feel grand and meaningful. Along with “The Raid: Redemption,” those two films were the best martial-arts movies since the days of Bruce Lee and Jackie Chan. 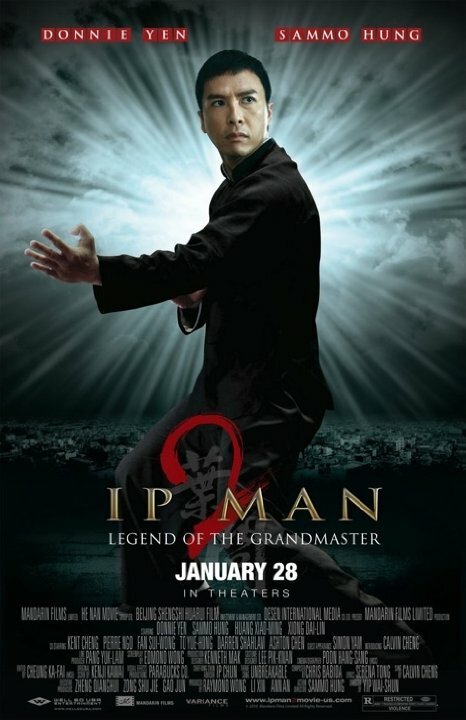 The plot follows up on the events of “Ip Man,” as our titular character (Donnie Yen) has fled to Hong Kong and intends to open up a new martial-arts school for his style of fighting, Wing Chun, combining defense and attack into one fluid motion. The film follows the conflict of getting the school running, fighting off rival schools and a climax against an English boxer who will fight any Chinese challenger to show the “superiority” of the United Kingdom. Part of the appeal comes from these being based on true events. While I don’t deny that Master Ip did fight an English boxer, I do find the film’s portrayal of these events to be less than satisfying. Most of the events throughout the first half of the film do not amount to anything. Master Ip has a friend who can’t remember anything that wanders the streets of Hong Kong, and we see him bring his friend food every once in a while. But this plot thread leads no where, as we don’t even see one last meeting between the two. This is one of many scenes that add little to the film. “Ip Man 2” tries to add too many new characters and plot details to the simple story of the first film, which soils the great moments. While the martial-art scenes are fun to watch, as always, this one left me feeling hollow and unsatisfied.